This week the first trend at CENFACSSPHERE is our Wintry Appeal to Bring and Light a Blaze of Hope for the Children Victims of Conflicts in the Central African Republic and Region of Africa (CARRA Appeal). It is our second appeal for this year, appeal which is under the Light Projects and in the context the post-conflict life. It is in the context of post-conflict development when we made similar appeals in 2018 and previously regarding the central region of Africa. As we have been following what has been happening there since we made our previous appeals, the current appeal is meant to step up progress in supporting the same victims of conflicts in the CARRA. Amongst these victims are children. Because of the very difficult conditions children are experiencing in the Central African Republic (CAR), our centre of attention in making this consolidated appeal is on children’s welfare and well-being there. They are suffering from the legacies of the continuing conflicts in that region. The focus of this appeal is therefore about Making the Central African Republic (CAR) a Normal Place for Children to Live, Grow and Stay. For further information about this appeal, please read under the Main Development of this post. CENFACS’ Triple Value Initiatives, the All Year Round Projects, are now back for this year. You can play, run and vote to reduce poverty this year again. Before you proceed with one of the All Year Round Projects, it is good to speak to CENFACS. We can discuss together you plan or the way you want to participate. For example, let’s take Run to Reduce Poverty. There are Run Themes. You can Run alone or Run as group or even Run for fun. You can do Seasonal Run or Run to raise money or even Run to raise awareness. There are ways of making your Run event simpler. To do that, you can contact CENFACS before you plan your event. CENFACS can help you to select your theme. You need to confirm the date and time with CENFACS. There are other things to consider as well such as: location, engagement in activities, prizes (rewards for participants), health and safety issues, child protection policy if children are involved, insurance cover etc. 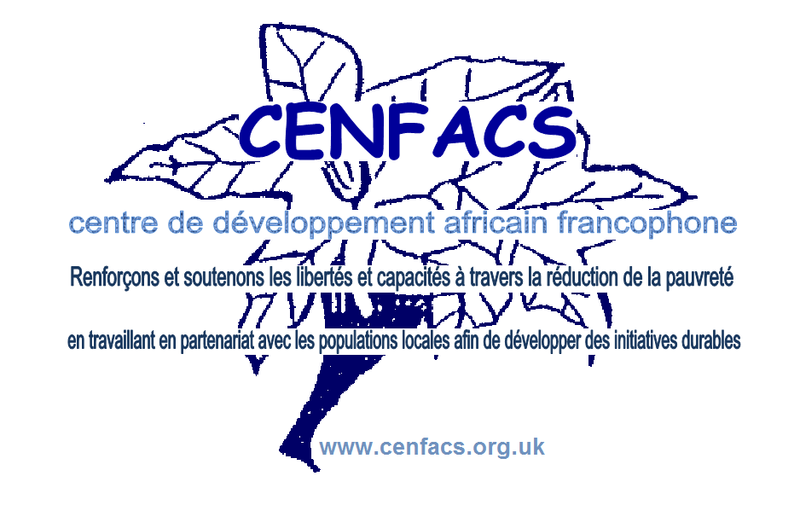 We have provided under the Main Development section of this post some basic elements of CENFACS’ All Year Round Projects. As we progress throughout the year, further information will be released for them. Gifts of Peace for Edition 2018-2019 are coming to an end this Thursday. If you have not yet supported, there is still one day to go. You can still do something for poverty relief. You want to do it, just contact CENFACS. Support our projects as you can or as you choose if you visit them or if you happen to be within the area of them. This will boost your support and help you to win a silver status as CENFACS’ Supporter in a CENFACS Silver Year or the Quadranscentennial Year of CENFACS. Alternatively, you can fund CENFACS’ Silver year to win the same status. You can provide great relief by becoming a regular giver or supporter, adding value to you support and boosting your support. Please contact CENFACS for details about becoming great reliever. You can choose a particular sustainable initiative or programme or even CENFACS as your boost product. You can support 3 programmes or 2 programmes and CENFACS. For further details about boosting your support, contact CENFACS. In 2018, we launched an appeal to support the conflict-affected and impoverished peoples of Central African Republic (CAR). CENFACS appeal was apolitical, non religious and non partisan from the conflicting sides and between the two armed self-defense groups loosely-organised and others. Our appeal was the 3rd Light Project concerning the CAR. In 2014 and 2015, we launched similar appeals. And some forms of truce and normality were established. Some of these actions have been undertaken. But, most of the problems at the heart of the suffering of the peoples of CAR remain unsolved. We are still far from saying that something was achieved. We would like to take this opportunity to thank those who responded to all our previous appeals and to similar appeals regarding the CAR, as well as those who worked to save lives there. The 2019 CARRA Appeal is a kind of fact-checking process that deals with the lack of progress to support the conflict-affected and impoverished peoples of Central African Republic (CAR). It is about asking the development community from within CARRA itself and from outside CARRA to do something to reverse both the poor environmental and humanitarian situation in CAR. In particular, many alarming reports are pointing out the deplorable and precarious conditions in which children live there as a consequence of the previous conflicts and lack of peace and security. The 2019 CAR Appeal intends to ask supporters to deal with the after-effects of previous and current conflicts by taking actions such as stopping people to flee their homes, to keep their fields, to prevent food insecurity, protect civilian population at displaced camps, care of orphan children etc. The list of actions to be taken to save the children in CAR can be long. Some of these actions can be done quickly and easily on the short term. But, many of them would require a long term strategy for a comprehensive reduction of child poverty in CAR. Last week, armed groups involved the CAR crisis and the CAR government met in Karthoum (Sudan) to negotiate peace. One can hope that this new round of peace negotiations between the conflicting sides will bring sustainable peace. While this peace process is going on, there is a pressing need to light a blaze of hope for the children innocent victims of conflicts in CAR. To Light a Blaze of Hope for the Children Victims of Conflicts in CAR, contact CENFACS. The 2019 Edition of All-year Round Projects has kicked off. You can Vote your 2019 African Poverty Relief Manager. After running or organising a run activity, playing the CENFACS’ League and voting your Manager of the Year 2019; we would like you to share with us and others your experiences, stories and reports regarding these projects. Your share will be a kind of Action-Results report 2019. If you are Playing the CENFACS Poverty Relief League and its sub-project Le Dernier Carrẻ, there are 16 team countries in this Poverty Relief and Development League playing each 32 matches or games each against the other. If you are Running for Poverty Relief and Development, you can do it alone or as a group. If you are casting your Vote for an International Development and Poverty Relief Manager of 2019, before you vote do some research. Whether you are Gaming or Running or even Voting for Poverty Relief and Sustainable Development, please keep a track record (including the facts, data, videos, audio tapes, reviews and images) of your activities to make and share your story with us and others by the end of the year. To keep a track record, you do not need sophisticated technologies or a third party. With your mobile phone only – if you have one – you can text, record voices, make a video, take pictures, phone, and make a short film to capture and communicate the impacts of any event or activity you did, are doing or taking part by the end of this year. We would be more than happier to hear your Action and Results to feature and include them in this year’s results and record. Don’t forget to tell it! The deadline to tell us your bests is 23 December 2019. For more information about these projects, please contact CENFACS.